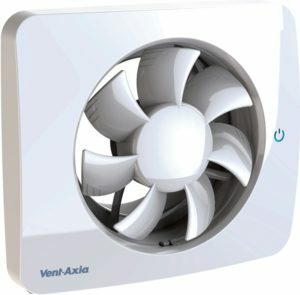 Leading the way on indoor air quality (IAQ), industry trailblazer Vent-Axia has launched the PureAir Sense, the UK’s only bathroom fan with Odour Sense Technology. Designed to improve the air households breathe, the Vent-Axia PureAir Sense is equipped with a pioneering odour sensor that increases airflow when the air is poor, helping ensure a comfortable living environment. When the sensor detects a strong odour, the fan speed increases and quickly extracts the odour to help ensure the air always feels fresh. A step change for the electrical sector, this premium fan is set to be an ideal addition to customers’ bathrooms. An attractive choice for households, the PureAir Sense’s Odour Sense Technology helps give peace of mind that air is fresh, while combining a host of intelligent features, quiet operation and an attractive design, as well as featuring a simple to use LED touch panel and app control functions. With a minimal retro design and low noise levels of 19dB(A) the PureAir Sense is unobtrusive, fitting easily into bathroom designs.